Mozilla CEO John Lilly is stepping down from that role and leaving the nonprofit, a successor has not been announced. The only reason I am taking the time to post about this is that it is my view that Mozilla is at a crossroads, while accomplishing much over the years it seems to be remembered more for the potential it once displayed than the path it is blazing forward on. With Firefox 4 the Mozilla handlers are promising that “we’re gonna be super fast and we’re gonna support open standards like HTML5 and we’re gonna give users more personalization options”. In other words, Firefox 4 is going to be a lot like the Google Chrome we already have, minus h.264 support, and it even looks like Chrome. It’s great to have competition in this market and IE was destined to achieve mediocrity through indifference until Mozilla surged and presented a strategic threat to Microsoft. However, at some point just being as good as IE stops being something you highlight and Mozilla’s destiny seemed to be “we’re #2 and we try harder”. By dislodging Internet Explorer from its dominant market position, Firefox has proven not only that open-source projects often provide better software, but that it’s possible for a particularly well done one to become an everyday consumer application. The fact remains that Firefox alienated many with a plodding development path, a limited appetite for going beyond the browser as we know it (mobile and embedded usage), and finally, a bloated codebase that gobbled up every resource made available to it. Mac users, like myself, abandoned Firefox in droves over memory leaks, a problem that has repeatedly been called resolved while remaining evident among users. 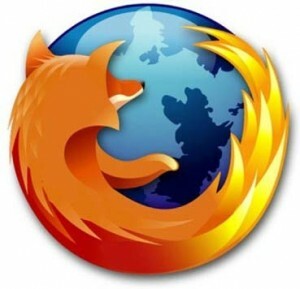 Mozilla supporters point out that Firefox now claims 26% of the browser market… so what? Again we are back to measuring the success relative to IE and not only is that a false indicator but it fails to inspire me about the future of browsers, at least if left entirely in the hands of Mozilla and Microsoft. Meanwhile over at WebKit some of the most interesting work for browser stacks is taking place and in terms of innovation I think WebKit has demonstrated a crisper vision of what the future holds. Having too much of anything can be bad and that appears to be the case with web browsers… how about a little consolidation here to inspire developers to take advantage of browser capabilities instead of writing to the common denominators. At any rate, Lilly deserves a lot of credit for herding cats and accomplishing something few in the software world have done, building a true commercial success out of a consumer open source project.